Sometimes called a half-dory, the Semi-dory’s lines are similar to a Swampscott dory on the forward half, then widened aft to provide a stern section that is broad and powerful enough to support an outboard without squatting. 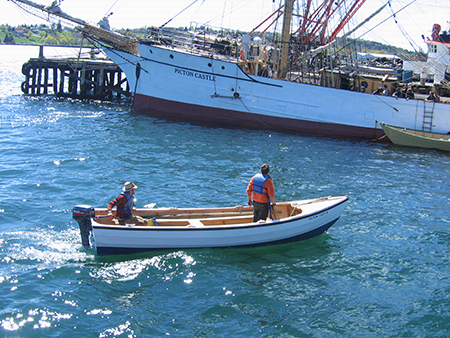 These boats also don't have the rocker of a traditional dory, and so can be brought up on plane. An awesome workboat that’s also great for sport and recreation, the semi-dory can also be built at different sizes, as small as 12 feet loa.